"It's a crashing, bashing good time guaranteed to break you up! Whether it's an avalanche of laughs on the ski slopes, the boulevard bounce after a short jump, or a burst of high pressure humour testing air bags, The Incredible Crash Dummies are a real crack-up! 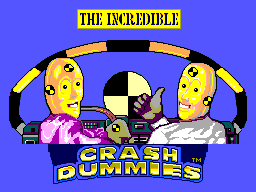 They may have a few screws loose... but The Incredible Crash Dummies will knock themselves out so you can have a good time!" Firstly, you need to activate the password screen. 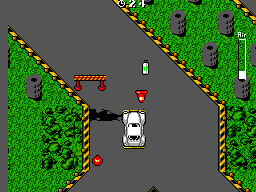 To do this, wait at the title screen until the 'By Software Creations Ltd' screen appears then press Up, Down, Left, Right. 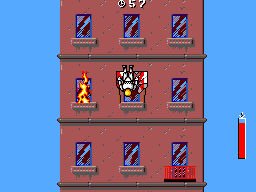 This can be done at the title screen but the graphics will appear garbled.